Speakers: • Catherine West, MP for Hornsey and Wood Green (chair) • Miriam Bindman, disability rights activist (DPAC) • Chris Baugh, Assistant General Secretary, PCS union • Cllr Kaushika Amin, Haringey Council Cabinet Member for Civic Services (including rollout of support for Universal Credit) • Linda Grant – employment and poverty researcher, Sheffield Heeley CLP executive member. Event 2) Paper copies of the Long Term Plan launched by NHS England can be obtained. HPAG already has 2 copies. It appears to promise improvements. BUT the NHS PLAN is not good news. It would mean more cuts, rationing and privatisation. Leafletting by HPAG on Monday February 4th will publicise Dignity Action Day, our group and the broken state of Social Care. Venue to be announced. Helpers welcome. A leaflet that has been designed as a result of the conference ‘Reclaim Social Care’ organised by Health Campaigns Together (HCT) can be downloaded here. The firm ‘Universal Office Equipment HQ at, 120 High Road, East Finchley, London N2 9ED’ intends to take up franchise of several crown post offices: Muswell Hill, Crouch End, Stoke Newington and an Independent for Finsbury Park. But we do not want our crown post offices to become private businesses. Please take part in the consultation, either on line or by writing. The deadline for the public consultation for Crouch End is September 6th, and for Muswell Hill September 13th. You can give your feedback on these proposals by completing the Post Office online survey via the following link postofficeviews.co.uk and entering: Muswell Hill N10 4DQ or another post office you are concerned about. Royal Mail is privatised, but Post Office Ltd remains in public hands. Hornsey Pensioners has in the past year written to both the director of Post Office Ltd. owned by the government, and the minister responsible, but the replies indicated that Post Office Ltd must be financially viable, hence the search for firms to take over franchise. 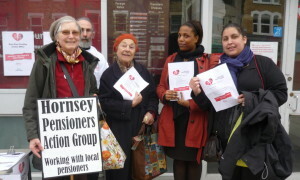 Hornsey pensioners took part in the official consultation event for Muswell Hill Crown Post Office on Wednesday 16th August. The business man applying for the franchise, Elliott Jacobs was present. He was told that counter staff at Muswell Hill were unhappy about transferring to his shop. I asked him whether he would recognise and negotiate their union CWU and he declined. On Saturday August 26th I visited the shop at East Finchley that took over the franchise of the Crown Post Office. Our group had opposed the franchise, the photo is dated April 2013, and the franchise took place in 2014. The shop is well laid out, but the merchandise of office and art materials fronts the entrance with post office services towards the rear. In Muswell Hill we already have shops – Rymans for office equipment, and ‘Art for Arts’ Sake’ for artists’ materials. Do we need more such outlets? While there I approached one of the counter staff at East Finchley and asked whether she was a member of CWU – apparently not. The Communications and Workers Union (CWU) conducted a picket that morning to object to further privatisations of post offices in this area. The CWU over many years has negotiated pay, conditions and career path for post office counter staff. For us as customers, the union plays a role in maintaining standards, making sure that post offices services are conducted in a professional manner. They make sure that the staff we depend upon for advice are well trained. 15 Cannon Hill, N14 7DJ. The meeting is a 10 minute walk from Southgate station, and on bus routes 121, W6 and 299.  It is called by Enfield Over 50’s Forum about a consultation being conducted by the Enfield Clinical Commissioning Group (CCG). If AEBM was applied in Enfield, other borough CCGs could follow. as published in the Ham & High on July 21st 2017. It shows protestors campaigning to save Highgate Library in Shepherd’s Hill in December 1987. Highgate Library is now threatened again. Haringey Council is considering its relocation to an extended and refurbished Jacksons Lane Community Centre. The existing building could be sold.